Located at the northern tip of the Gulf, this property benefits from access to two beaches, meaning its great for extended stays. In fact, you’ll find you hardly need to leave the resort as everything can be catered for right there, whether it’s resting and relaxing on the beach, treating yourself to a gourmet afternoon tea, or indulging in a spa treatment. Despite being right in the heart of the action in downtown Pattaya, this hotel is also a quiet, safe haven that’s perfect for relaxing. The pool area is a sheltered spot where you can get away from the crowds on the public beaches. The rooms have been recently refurbished, with fun and whimsical themes, meaning you can get lost in your own wonderland. It’s also great for families due to its extensive kids’ activities, meaning you can have some well-deserved me time. 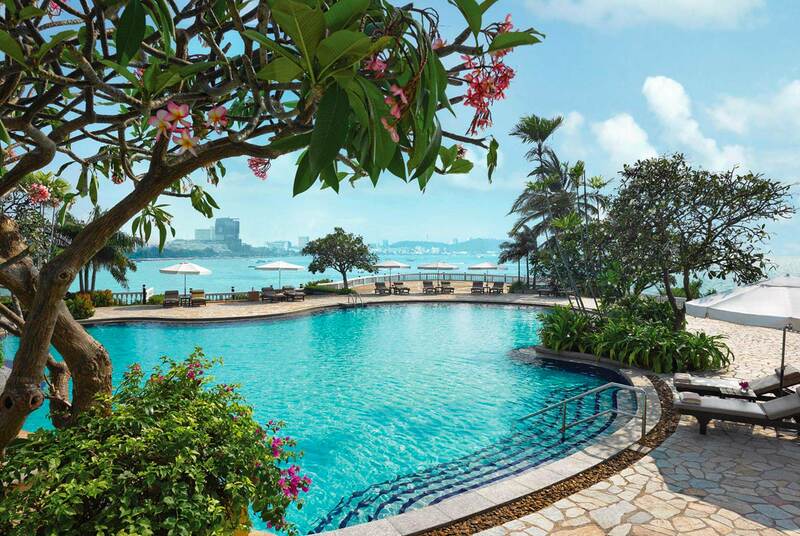 The Dusit Thani Pattaya has access to two beaches, how much more escapist could you ask for? This towering resort in north Pattaya is remarkably tranquil and serene for its size. From your room, you’ll enjoy an uninterrupted panorama of the sea, inviting you to jump in and cool off from the resort’s private beach. An absolute must is a romantic dinner for two under a billowing white linen gazebo in this private spot, watching the sun set over the horizon. 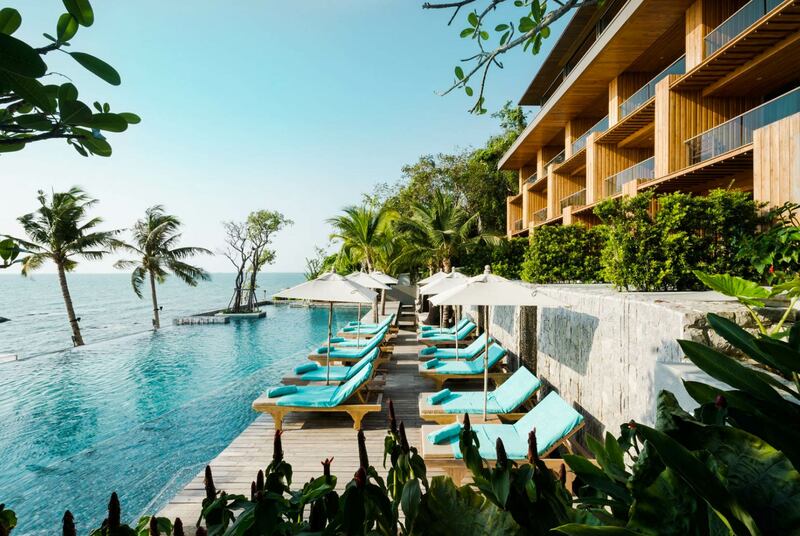 This hideaway is set between the rich foliage of a tropical rainforest, affording unparalleled privacy in bustling Pattaya. The path to your room or suite is paved with vibrant local flowers and orchids, and is home to many varieties of local birds and other wildlife. You can chill on a sunlounger by the pool, overlooking the ocean, or dive straight in from the beach at Hu-Kwang pay, one of the area’s quietest beaches.